Anselm's home life was troubled when he was a little boy. His mother--Ermenberga--took the role of educator and spiritual director for Anselm and guided him on the path that led to being a disciple of her Lord Jesus. From his mother, Anselm learned the power of obedience and the high calling that God has placed upon his life. Consequently, Anselm also learned the gravity of his own sin and the frustration of his own brokenness from his dear mother. However, his father--Gundulph--owned much property and felt the weight and burden of noble birth and blood. Much had been given to Gundulph by the powers of this world and so much more was expected of him. 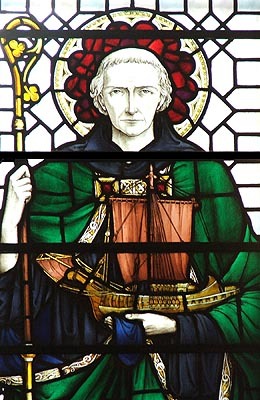 Gundulph expected his son Anselm to help him bear these burdens of affluence and become more like himself and less like the heroes of the faith his wife taught. Anselm was less impressed by his father's view of things but he was captivated by a vision born to him from his mother: serving God as a monk. When he expressed this desire to his father, Gundulph was adamant that this could not be the place where his son would end up. He forbade his son to go and Anselm was heartbroken at his father's refusal. Anselm's thoughts soon turned to others matters because his dream had been crushed by his father. He felt a distinct calling to go and to be what it was that God willed but he also felt obligated to honor his father even when his father didn't have his best interests in mind. Perhaps he still held out hope for a change in his father's mind or perhaps his mother advised him to continue growing spiritually where he was until God opened a door for him to go elsewhere and serve God. Regardless, he gave up his studies and became a man of leisure. This must have simultaneously comforted and frustrated Gundulph who was happy still to have his son nearby to work and be groomed for his own burdens but distressed that his son seemed given to either a monastic life or a life of nothing of consequence. Gundulph had got what he wanted but it tasted bitter once he had it. Some years later--years full of Anselm's uninterested participation in Gundulph's dreams--Ermenberga died and both father and son were cut deeply by the loss. 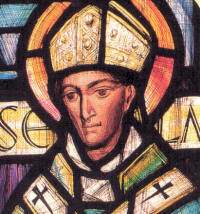 Without Ermenberga, Anselm found it hard to continue to relate to his father and Gundulph could find no way back to reconciliation with his son. Gundulph became more unbearable at home and began lashing out at Anselm. 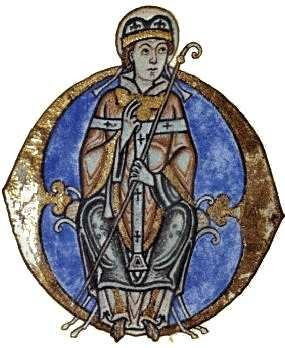 Eventually, Anselm left home and traveled West through the Alps before arriving at a monastery in France. He became a monk over a decade after his first calling and attempt.